Chiller tube cleaning just keeps getting better. Introducing RAM PRO XL® featuring TubeGuard® technology - innovative tablet-based technology that cleans straight and enhanced tubes better than ever removes bacteria and protects tubes from oxidation and corrosion while the chiller is offline. Without TubeGuard, it takes a very short amount of time for tubes to begin oxidizing, which leads to corrosion and damage to chiller tubes. Not a chance with TubeGuard. It's a total game-changer. Packed with more power than the previous model, this tube cleaning machine boasts of a completely redesigned body, an advanced chain drive system and a patented Quick Connect shaft connection system that allows for faster shaft and brush changes. 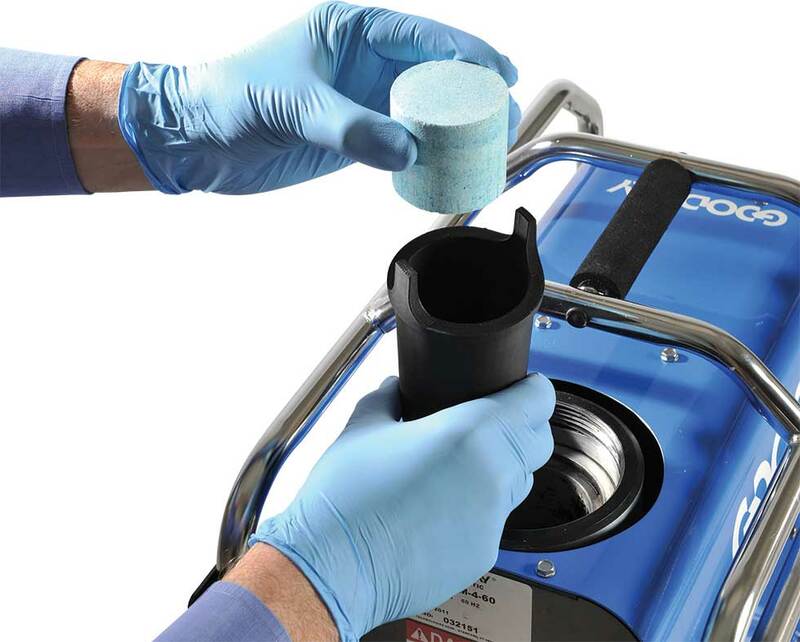 A combination of the best rotary tube cleaning mechanics and cutting-edge TubeGuard technology makes the RAM-PRO-XL one of the most advanced, portable tube cleaners available on the market today. 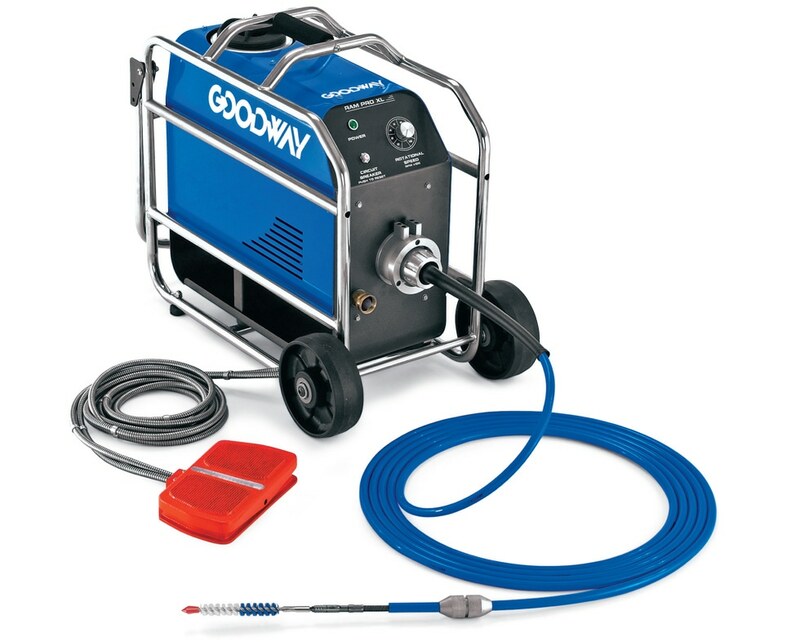 RAM PRO XL Chiller Tube Cleaner Starter pack, TubeGuard-XL tablets, roll cage, Quick Connect shaft manifold, variable speed shaft rotation, and two direction foot switch. Note: Shaft, brushes, TubeGuard tablets and other accessories sold separately. 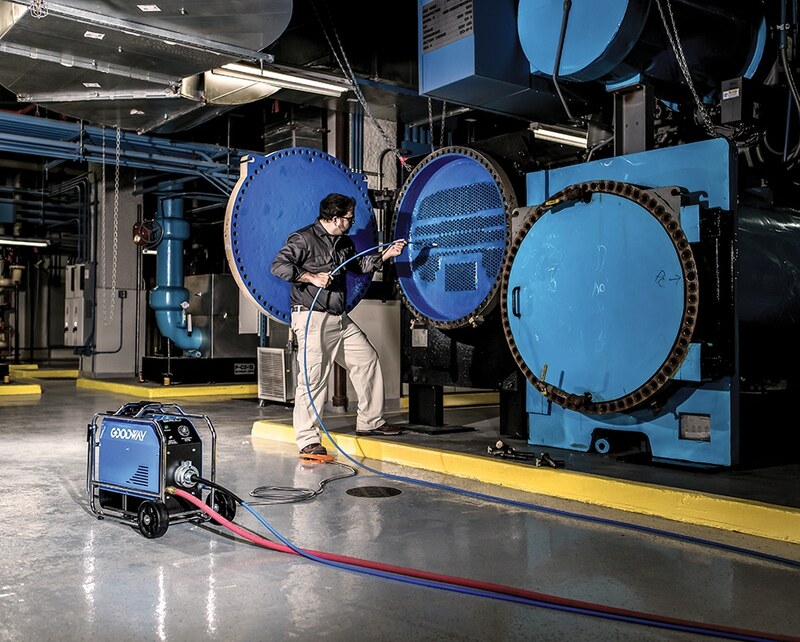 An effective cleaning maintenance program for air conditioning chillers will increase operating efficiency, reduce energy costs, downtime and provide a more reliable performance from the chiller system. Learn about other advantages of cost-effective chiller cleaning here.